I've been waiting on this book for years! A.C. Gaughen wrote the fantastic historical fiction YA series about Will Scarlet, Robin Hood, and Marian, and since then I've been a fan. I started this book without reading any blurbs and had no clue what it was about. I thought the heart of this book is wonderful. 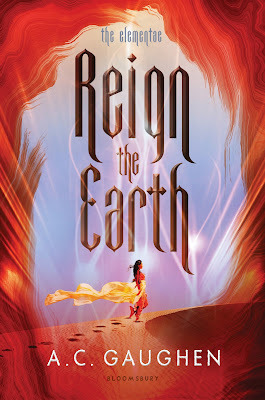 Shalia is a strong girl from the desert who sacrifices her own happiness for the safety of her family and her people by entering into marriage alliance with Calix, the King of the Bone Lands who hates the desert clans and the Elementae, people who have the unique ability to control earth, air, fire and water. In her marriage, she hopes to find love and peace but also faces the reality that this marriage is a sort of death. In fact, members in her family and in her tribe have been murdered by Bone Lands soldiers. The Bone Lands are ruled by the Trifectate, the Three-Faced God made human. Calix is the head of the Trifectate, supposed to embody the most senior of the Three-Faced God, the head of truth and justice. His younger brother Galen is his commander, the face of honor and strength, and Danae, his sister, is the hidden face of the god, binding the two, she says. 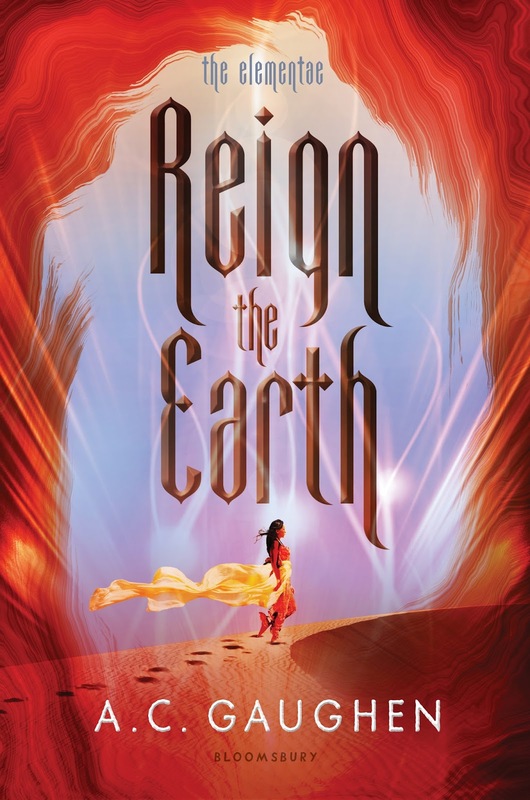 As Shalia comes to know her new family, she also learns what Calix hopes from their marriage, using her to secure an heir to his throne and thus ensure his rule from being threatened by his nobles. As Shalia attempts to walk between two very fine lines, one of loyalty to her husband and loyalty to her family, and they both conflict heavily as Shalia's eldest brother Rian is a leader in the Resistance and fighting to subvert Calix's penchant for torture and mayhem of those he deems a threat, namely rebellious desert people and the Elementae. Having expected obedience, Calix does not forgive his wife her conflict of interest but expects to her betray any information that will help him. As Shalia realizes her situation, she embraces her role towards the people and inspires with her kindness. She takes strength from her successes, which she will desperately need when the conflict between blood and marriage erupts into all out war. Though I read the ARC, the one thing I really missed was how little we actually got to see of Shalia's past and her true relationships as desert girl and with her family. Kairos in particular confused me as a character because what was he? And what odd relationship does he have with the hawk again? Shalia's resilience we got, though I think she's crazy for riding around pell-mell on a horse while pregnant and exhausted, but maybe she didn't get afflicted with the same horrible exhaustion that I did. I certainly couldn't have climbed up a rock wall while pregnant and sick and bone tired. Despite these few flaws, it was a fun read, and who knows, maybe these few changes will be different in the final edition, released just this week! Fans of YA authors Ahdieh, Maas, and Tahir will probably be addicted to this series starter.